SANTA CLAUS - Holiday World & Splashin’ Safari’s Wildebeest water coaster took top honors once again during the 2018 Golden Ticket Awards ceremony, held this weekend at Silver Dollar City in Branson, Missouri. 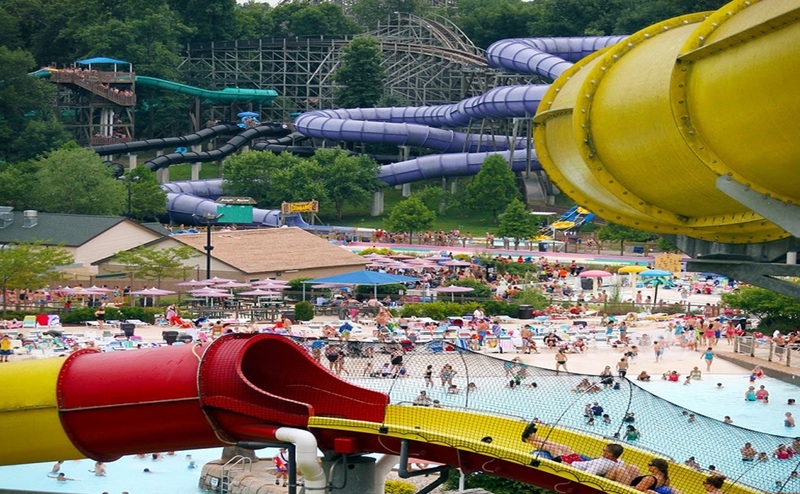 For the ninth year in a row, Holiday World’s Wildebeest water coaster was named the World’s #1 Water Park Ride. This top honor was announced by Amusement Today magazine, which presented the results of its annual survey of the “best of the best” in the amusement park industry during Saturday evening’s Golden Ticket Awards ceremony. In addition, the park’s Mammoth water coaster was named the #2 Water Park Ride, and Splashin’ Safari once again claimed the #2 Water Park spot. For the nineteenth consecutive year, Holiday World was named the #1 Cleanest Park, outranking such parks as Disney World, Kings Island, Dollywood, and Cedar Point. In addition, Holiday World’s wooden coasters, The Voyage, The Legend and The Raven were named among the world’s Top 25 wooden coasters. Amusement Today is an international monthly trade journal for the amusement and water park industries, based in Arlington, Texas. The Golden Ticket Awards are determined by surveys submitted by well-traveled park enthusiasts from around the world. Holiday World & Splashin’ Safari will be open to the public next Saturday, September 15 and will be closed for a private event on September 16. Happy Halloween Weekends begin September 22. For more information, visit HolidayWorld.com or call 1-800-467-2682.